Make Your Special Occasions Unforgettable! Make any occasion memorable and special with a white dove release. These beautiful birds will enchant all who watch them as they are liberated into the skies. A dove release is perfect for any occasion or event. 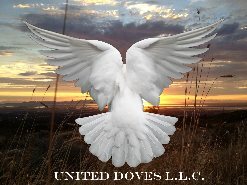 We have dove release packages for every occasion! The options are endless... And so is the experience! Dove Release prices range from $75 to $500, depending on location and number of doves released. Please contact your nearest United Doves franchise for pricing and details.